or the Monongahela, Ohio, or Kanawha River? It is illegal to drink alcoholic beverages/use drugs and operate a boat, canoe, jet ski, yacht, pontoon, raft, or any other type of motorized or non-motorized water vessel in West Virginia. 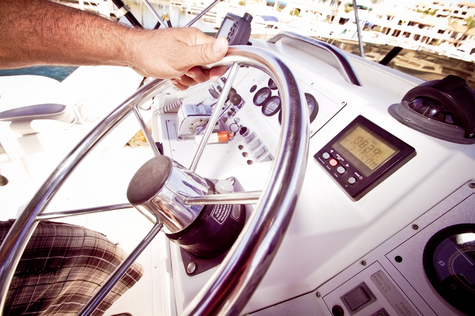 If a blood alcohol content (BAC) test registers at or in excess of 0.08% while operating a motorized vessel, you are at risk of being convicted of BUI. If you are being arrested for, or charged with, boating under the influence (BUI) or operating under the influence (OUI), contact Angotti & Straface Attorneys at Law L.C. in Morgantown. Our legal defense team offers our clients over 66 years of combined experience successfully defending individuals who have allegedly committed BUI offenses on Cheat Lake, the Monongahela, Little Kanawha, Ohio, and Kanawha Rivers, as well as other popular party and recreation destinations. The penalties for BUI convictions are structured similarly to those of DUI convictions. Boaters under the age of 21 may be convicted if a BAC test reflects the presence of alcohol at a concentration at or above 0.02%. Provision of blood or urine for testing or submission to a breathalyzer test is mandatory. Failure to comply will result in presumed guilt and penalties. If you require aggressive and highly experienced legal representation to defend yourself against allegations of BUI or OUI, contact Angotti & Straface Attorneys at Law in Morgantown at: (304) 292-4381 to schedule a complimentary initial consultation. We stand by our clients and fight on your behalf from the beginning of your case to its conclusion.